Here’s a page of TED talks about poetry. I haven’t watched all of them yet but I recommend them to you as short videos which can be inspirational. Please let me know about your favourites. I have seen this one, about how someone’s life was changed by poetry, and it’s worth watching. This list highlights talks about poetry. They could change your life. Franta Bass was a Jewish boy born in Czechoslovakia in 1930. When he was 11 years old, his family was deported by the Nazis to Terezin Ghetto/Camp, just north of Prague (also known as Theresienstadt). He stayed there, living under terrible conditions, for three years. 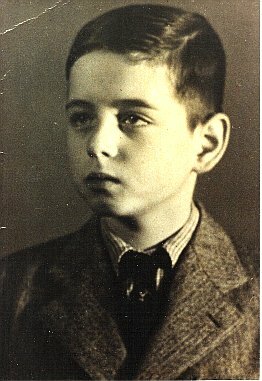 On October 28th, 1944, he was murdered in Auschwitz, a Nazi-controlled concentration camp in Poland. He was 14 years old. And a little boy walks along it. The little boy will be no more. Give children the first four lines of the poem, but with no background about the poet or the context. Just tell them it is written by a child, about their age. Who might the poet be? Where is he? How is he feeling about his surroundings? Why is the path described as ‘narrow’? Is the boy in the garden now – or is he remembering a time when he was in the garden? How has the mood of the poem changed? Why is he compared with blossom? Why will the little boy “be no more”? Then introduce the children to Franta Bass and tell them about when and where he lived. Talk about his death at the age of 14. Lead the children to a discussion of memory – why are we talking about this poem now? Why is it important to remember the Holocaust? Are the children today who are facing terror and hardship? This book features children’s drawings and poems from the Terezin Ghetto/Camp. Read about the background of the Terezin Ghetto/ Concentration Camp.